3 Bedroom Detached House For Sale in Exmouth for Offers Over £350,000. 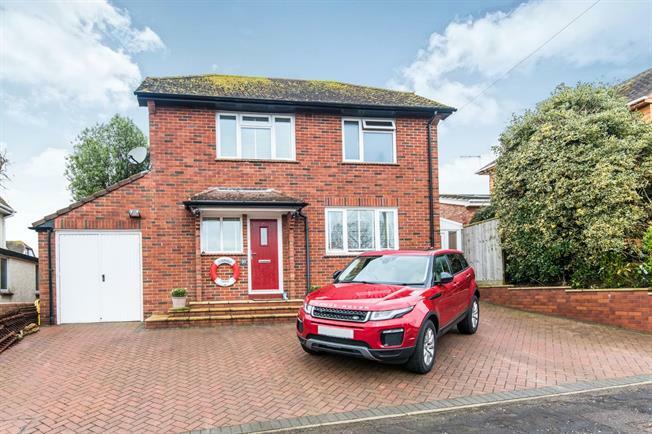 This property's price has dropped from £399,950 to Offers Over £350,000. OPEN HOUSE WEEKEND 27th AND 28th APRIL. TO BOOK YOUR VIEWING PLEASE CALL FULFORDS ON 01395 273757. A beautifully presented three bedroom detached house with a large delightful westerly facing rear garden. The house has been significantly upgraded and improved by the current owners and comprises of the entrance hall, lounge opening to the dining room and contemporary fitted kitchen. On the first floor are the bedrooms and a wonderful bathroom with four piece suite. The driveway at the front provides off road parking for several vehicles and gives access to the attached garage. A real showpiece is the rear garden with viewing highly recommended for the overall accommodation and location.